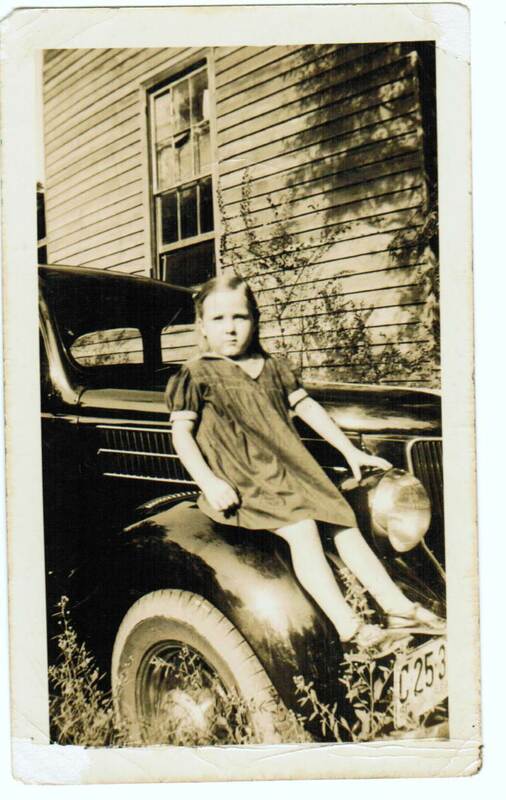 My Aunt Florrie Martin Duckett (born 22 Feb 1894) was the sister of my maternal grandfather, Joel Daniel Martin. Florrie was the 5th of 14 children born to Adolphus Burdine Martin and Elizabeth Patience Lee Martin. Aunt Florrie and my maternal grandmother, Florrie Jane Thomas Martin, were the same age and got along well. Aunt Florrie is always easy to recognize in photographs because one of her eyes wandered – a problem easily fixed nowadays, but not so in the early 1900’s. From what I know and remember of Joel Daniel’s other sisters, only Florrie was soft-spoken. I have to wonder if self-consciousness about her eye made her timid. At the time of Adolphus’ death in 1917, all of Florrie’s older siblings had married and started their own families except one who died as a child. Of the nine siblings younger than Florrie, five were married and/or on their own by about 1920 and two had passed away. Florrie and the remaining two siblings, Stella and Gary, continued living with their mother. In the 1920 US Federal Census, Florrie was a spinner at a cotton mill in Winnsboro, SC (about 30 miles north of Columbia, SC). Her mother was the head of house on the census with Florrie, Stella, and Gary as her dependents. 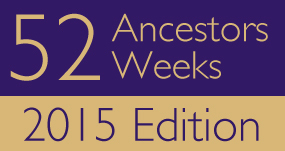 In 1930, Florrie was the head of the household on the census with her mother, Stella, and Gary as the dependents. Florrie, Stella, and Gary all worked at a cotton mill, but now the family lived and worked in Camden, SC (about 36 miles NE of Columbia, SC). Florrie was about 35 now, Stella 24, and Gary 19. Being single and 35 years old in 1930, Florrie had probably resigned herself to never having a family of her own and just being the old maid aunt to her many nieces and nephews. But that began to change the very next year. I don’t know how Florrie met Hebron Sylvester Duckett (1861-1940) or what brought them to marry. He was a 69 year old widower with grown children and she was nearly 36. He had children, probably some even older than Florrie. Was he lonely? Did he love her? Did she think this was her last chance at having her own home and family? I’ll never know. Florrie and Hebron were married on 17 Feb 1931. 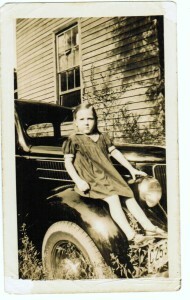 Their only child, a girl named Lydia after Hebron’s mother, was born on 13 Sept 1933. In just a few years’ time, Florrie went from ‘maiden aunt’ to ‘wife and mother’. Hebron died 30 Sept 1940, leaving Florrie to raise Lydia by herself. I know Florrie and Lydia stayed in the Columbia area for a while which is where the family was living in the 1940 census, but they also lived in Baltimore for a time. One of Florrie’s sisters lived in Baltimore, too. Lydia came to settle down in Manassas, Virginia where she married, had children, and worked as a nurse. Florrie lived with them, probably helping take care of the children and working here and there, too. As Florrie aged, she eventually became so feeble that she had to live in a nursing home. Florrie died on 2 Feb 1997 at nearly 103 years old. I saw Aunt Florrie many times at family get-togethers and when she would come and stay a few days at my house to visit with my maternal grandma. (My grandma lived with my family.) When Aunt Florrie was in her 70’s she still had long, long hair that she kept in a braid and wrapped in a bun on her head. It never looked that long all wound up on her head, but when she took it down I was always amazed at how long it was. 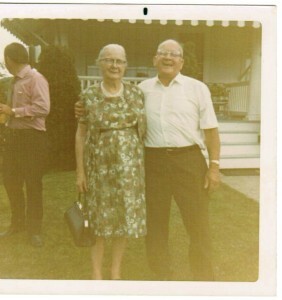 Aunt Florrie was sweet and soft-spoken and always kind. And she had a pretty smile. Agnes Jeffords Jacobs, one of my mother’s first cousins, remembers that ‘Florrie would come and visit at her house sometimes and bring her daughter, Lydia, with her.’ Agnes remembers that Florrie always talked sweet and was always positive. I remember Aunt Florrie well and her bun. She was a soft spoken lady and so sweet. I also remember Uncle Hubert and the cook outs in Marriottsville, Md. Aunt Florrie was so shy and sweet, yes. The cookouts in Marriottsville were wonderful. Everyone was happy and you could feel the love in the air.